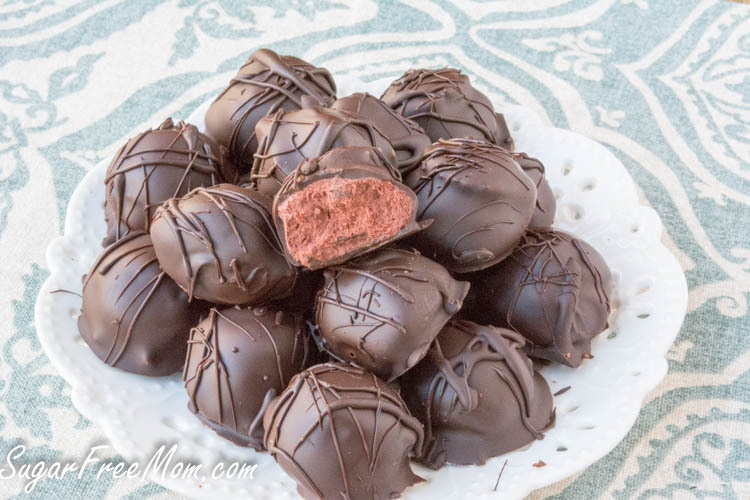 Sugar-Free Red Velvet Cheesecake Truffles are an easy, no bake, keto, low carb treat! Valentine’s day is just around the corner! Do you have a special treat planned to make for your loves in your life? I don’t know how it happened, but my 3 kids also think Valentine’s is about them. I guess it might be the fact for years I don’t just give the hubby a homemade gift, I give the kids something too. So I guess that’s my fault. 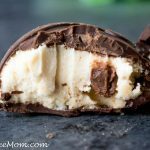 But just giving my hubby a treat like these cheesecake truffles without sharing with the kids, there would be an uproar in my house for sure. ……..about an hour later when the stomach cramps began. I had no idea how maltitol worked and in my body it was not good. 3. I was desperate after months of no treats at all! I’m sure you can imagine the evening wasn’t spent very romantically. 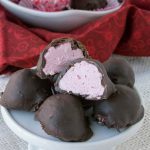 It was after that horrible learning experience regarding store bought sugar-free candy, that I made the decision to make my own treats at home. I did some research and found stevia wouldn’t cause those adverse side effects. I’ve never looked back. It doesn’t matter to me that I make my own special treats for Valentine’s Day. I’d rather know what I’m indulging in isn’t going to make me sick, especially on Valentine’s Day. 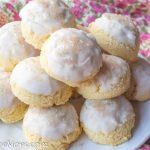 These are super easy to make and I’m sure my hubby or yours could easily make them as well! Place chopped chocolate in a heat-proof bowl and add cream. Set bowl over a small saucepan over simmering water. Stir until melted and smooth. Remove from heat and set aside. Place the cream cheese, vanilla extract, and stevia into a stand mixer. Blend on medium until smooth. Add salt and a few drops of red food coloring. Blend again until combined. 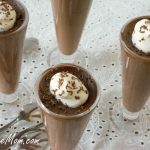 Pour in the cooled, melted chocolate and blend on medium speed until incorporated. Add more red food coloring until desired color. Stir in optional chocolate chips if desired. 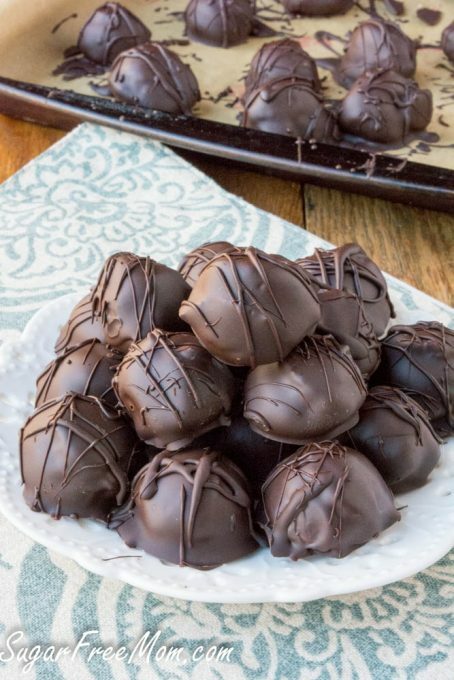 Use a 1-1/4-inch mini cookie scoop and make 60 small balls. Place them on two parchment-lined baking sheets. Freeze for one hour or overnight. 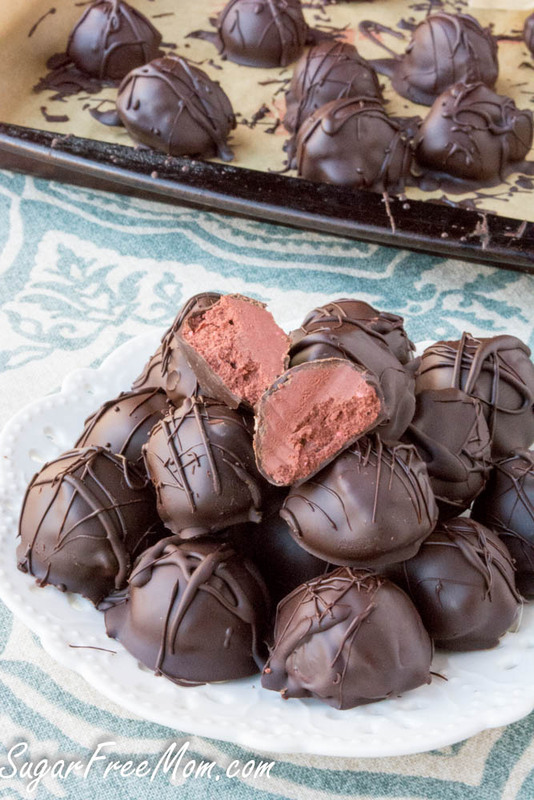 Melt chocolate for outer coating by placing in a microwavable dish and heat in 30-second intervals, stirring after each, then heating for another 30-seconds until completely smooth—could take up to 2 minutes. 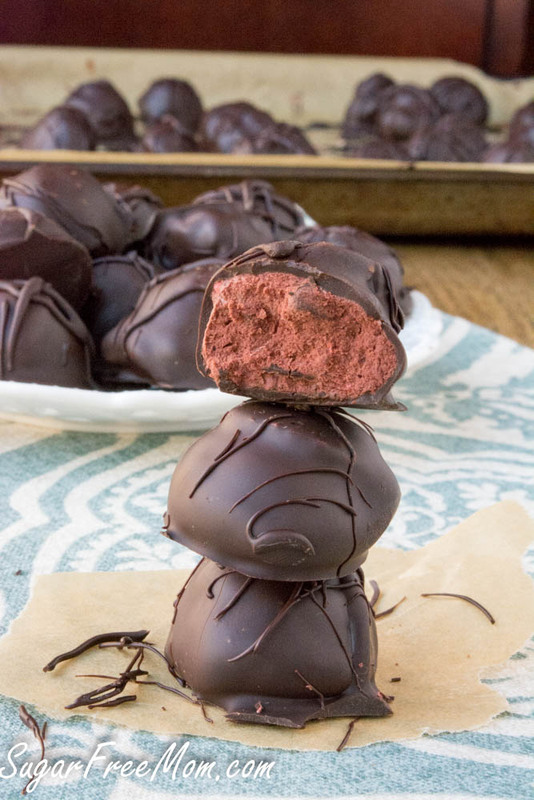 Dip red velvet truffles into melted chocolate, one at a time. Use a fork to remove and place back on parchment-lined baking sheet. 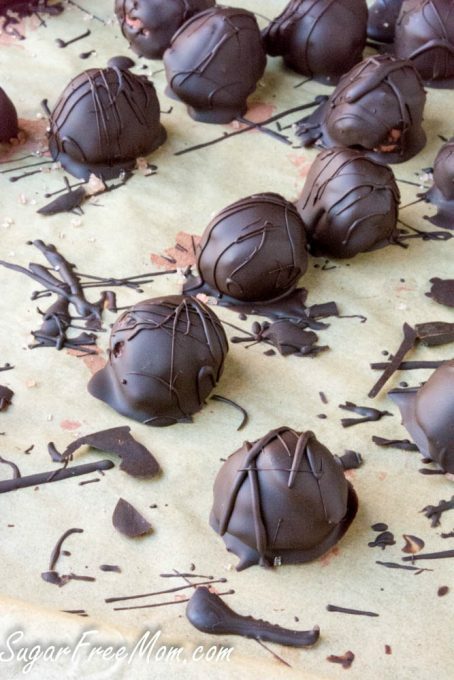 Once all are coated with chocolate, refrigerate for 30 minutes to one hour, or until ready to serve. Nutritional information includes chocolate outer coating. Optional chocolate chips are not included. 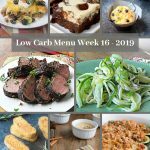 This recipe was first published on my blog in February 2016 and updated with video in February 2019. Oof. I well remember my experience learning what happens if you eat too much sugar free candy in one go. I was like 14 and at a sleepover with a bunch of my friends from diabetes camp. There was sugar free candy left in little bowls all over the house, and I thought nothing of it. Never again. 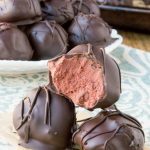 I am so glad to have found your site, I love chocolate, and am beginning to eat sugar free, due to at the age of 55 and many years of yo yo dieting, and toppers of menopause when I eat sugar items I feel like I am in a rocking boat. 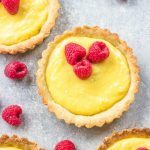 So to find recipes that I can solve my sweet tooth, and still be healthy is so awesome. I can’t wait to try the recipe for my husband. Thank you for doing this!! You’re welcome! Hope you both enjoy it! 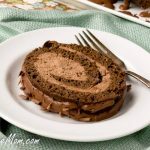 I need to make these for my hubby this weekend! Glossy chocolate shell and creamy red velvet cheesecake filling??? Totally irresistible!!! I think we’re just staying in .. we might go out to dinner with the whole family 🙂 but we will definitely have a great dinner! 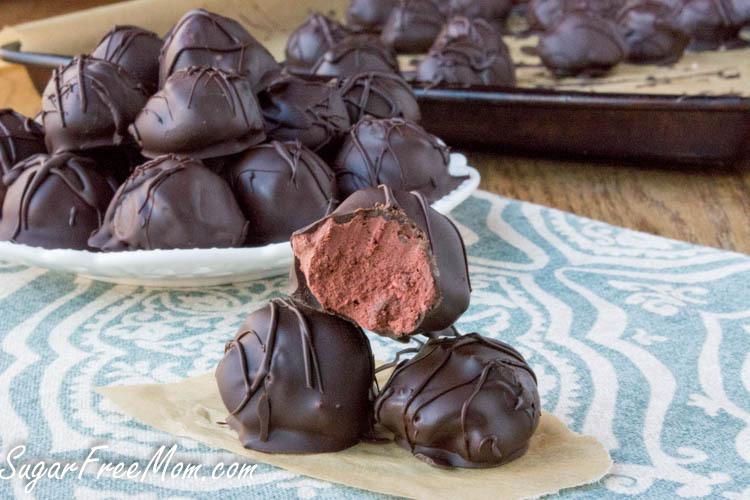 these cheesecake truffles look sooooooo good! 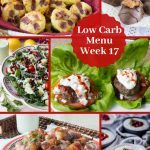 Sugar free and low carb – these might be my new favorite dessert! I’m making these now. I don’t how these are supposed to be rolled into balls . The consistency is like a frosting/pudding ….what did I do wrong??? Nothing went wrong, you can scoop them still then place them on a cookies sheet and put in the fridge for 30 minutes then roll them better. Did you microwave the cream cheese to soften it or let it sit on the counter? I set it on counter for several hours. I ended up putting the bowl in the fridge. Then I made the red velvet cheesecakes, the centers sunk so I put a dollop of the truffle mix in the middle. Very good. Now that the truffle mix is chilled I am scooping it into balls. Hopefully the coating goes well. I also made your heart shaped peanut butter cups. Yum! 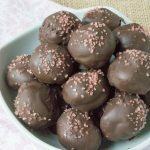 I made them because I thought I flopped the truffles! LOTS of chocolate this year!!! 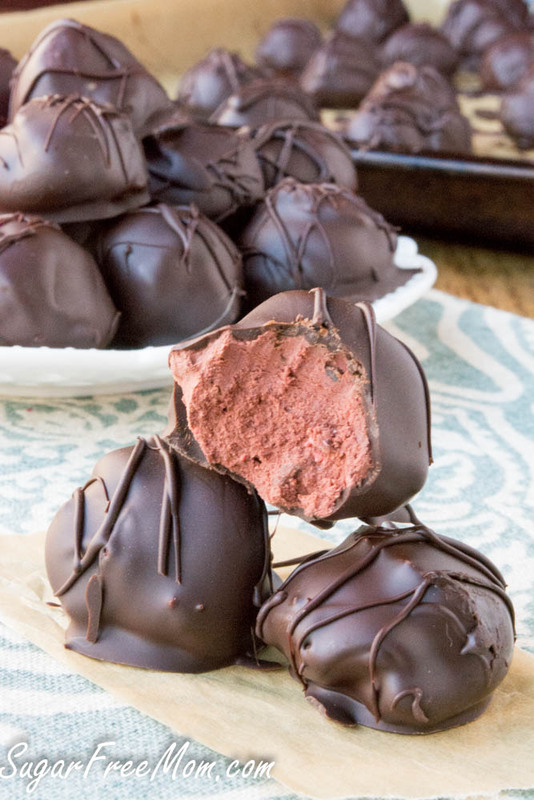 How long can these truffles be stored in the refrigerator for? I want to make them this evening but want to give them to a diabetic friend of mine later in the week who loves everything red velvet. Does unsweetened chocolate melt differently than regular chocolate? I made these twice (thinking I had ruined the first batch). 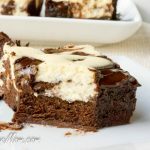 I never got a pourable consistency using a double boiler, even after adding extra cream, it was more like brownie batter. When melting the chocolate for the coating I had to add coconut oil. I’d really like to get this recipe right. I love your blog!